I cannot tell you how excited and how nervous I am about putting transplants into the ground already! Without some key pieces of equipment every previous attempt at extending my harvest season have failed. Now that I have seed tray warmers, grow lights, and row covers success is likely enough that I gambled and transplanted 32 cabbages, 32 broccoli, and about 20 golden beets. 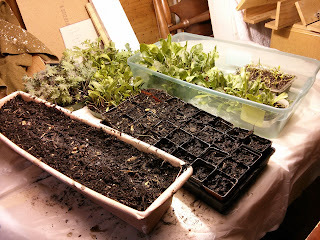 I also started another tray of spinach and a planter box of lettuce. 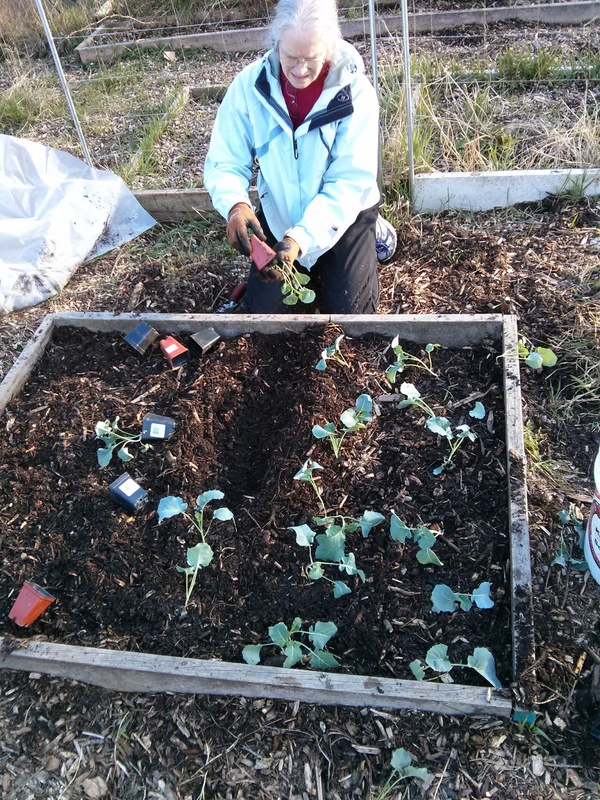 The cabbage and broccoli have been hardened off in stages and for now will be covered at night with the row covers. That should help the ground stay a few degrees warmer than otherwise. 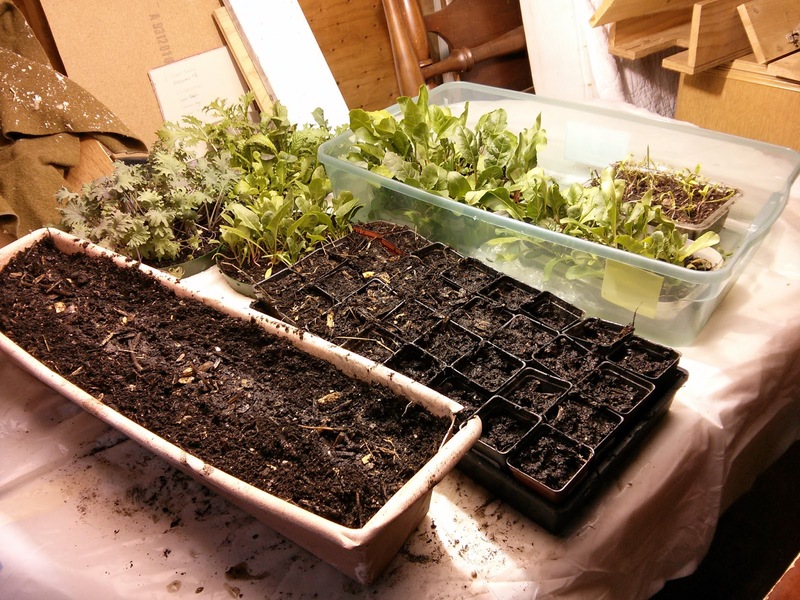 Seedlings under a metal halide grow lamp in dad's wood shed. 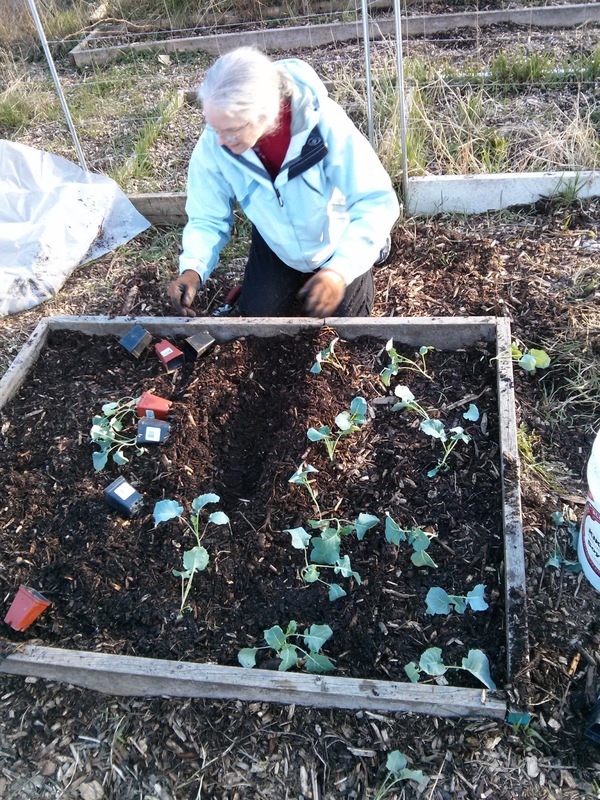 As they grow we will fill in spaces between the plants with more wood chips. 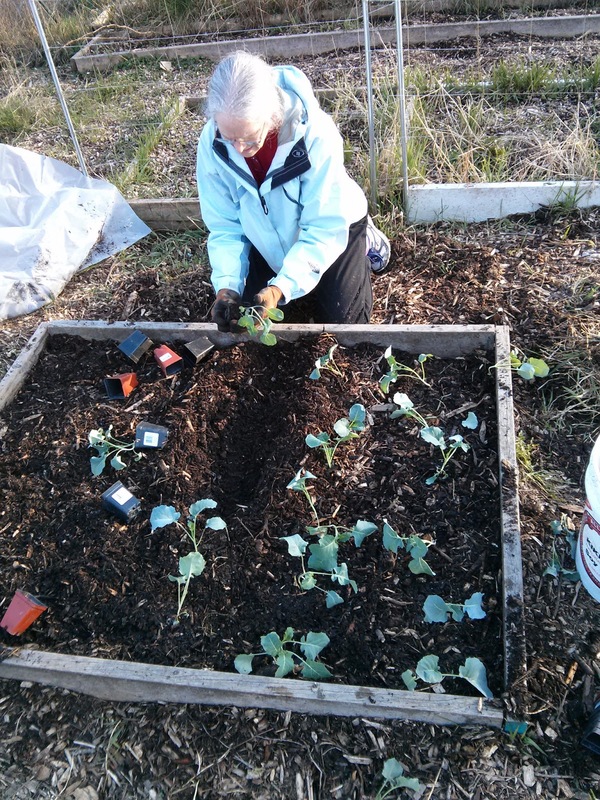 Having wood chips over the soil protects it from water evaporation, keeps the soil insulated, and constantly feeds nutrients into the soil below as it breaks down. And, somehow, it magically loosens the soil below even if you have never touched it with a spade! 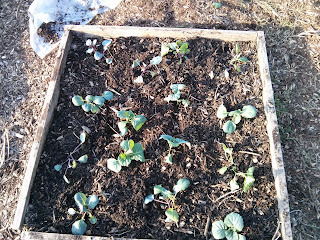 The current vegetable garden. 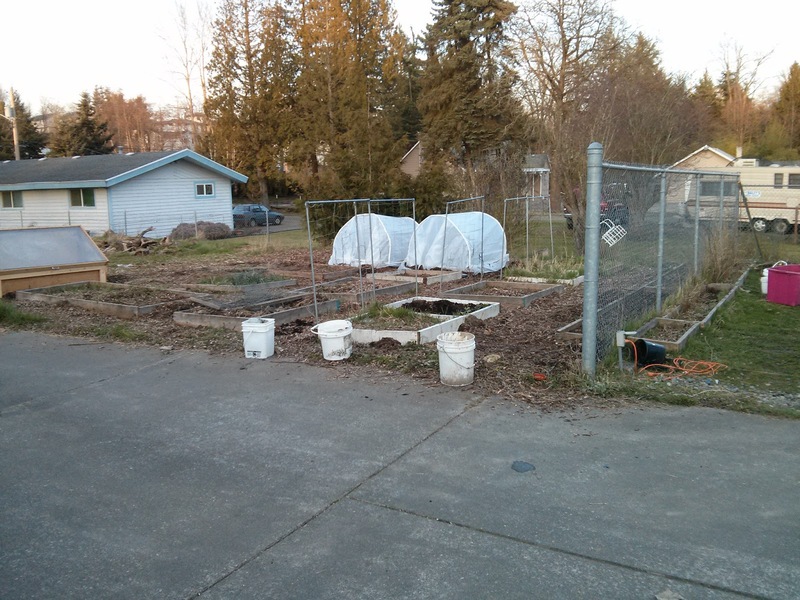 From L to R: cold frame, various raised beds, a few trellises, row covers, along the fence are mostly raspberries. We will continue to propagate them until they fill both sides. 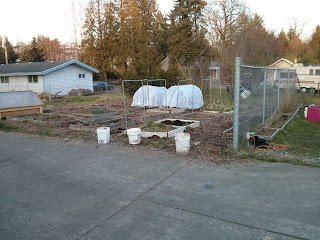 Notice the raised bed that is almost black. I scraped off the wood chips so as to remove that darn vining grass stuff without mixing the new wood chips and the mature soil. Yes, it really is that black. Delicious! And for your dose of cuteness, Abi being introduced to the three new "koo-aks". 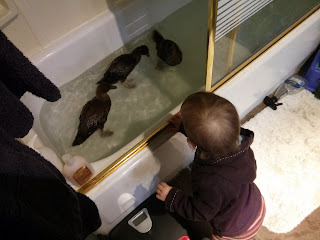 I love her word for duck! She won't say duck but she'll say quack. Goat was one of her first words but before she said that she called them "maaa". 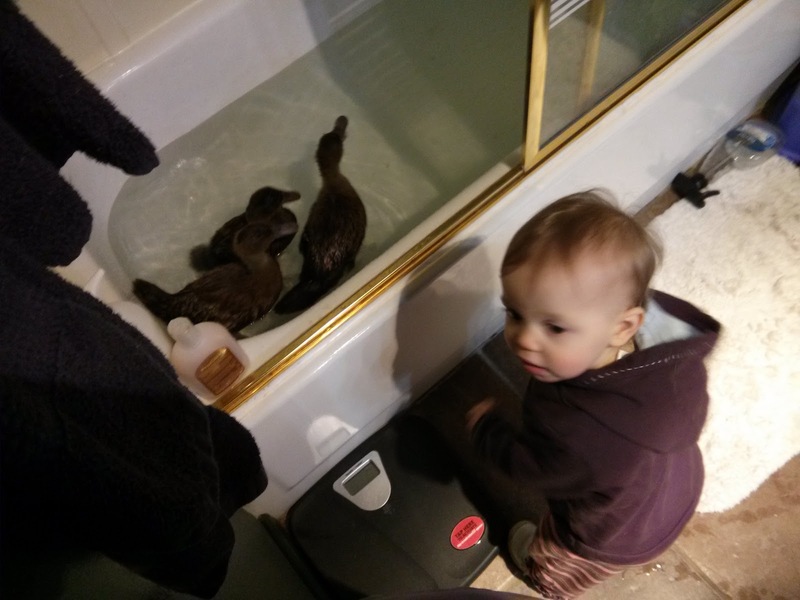 Katherine Hartt loves poultry but Khaki Campbell ducks in particular. Hoping for more egg-layers!